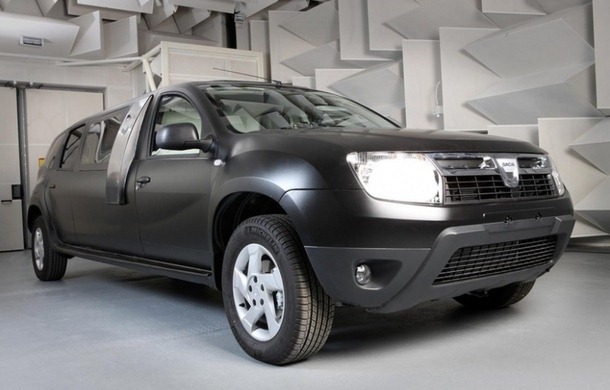 The car news of the week in Romania is that Dacia Duster has received a less conventional tuning package from a team of 23 Romanian students. 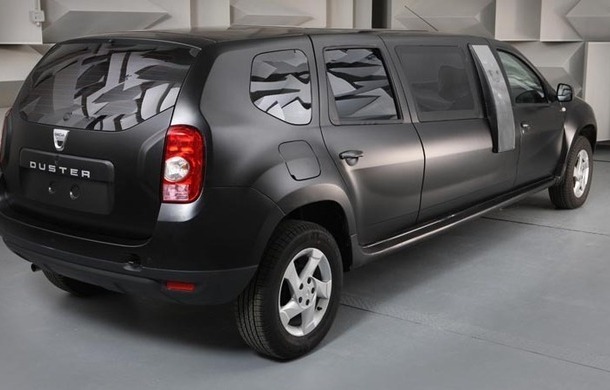 The result of of the students work is called Dacia Duster Biro Mobile and has an increased wheelbase of 1.5 meters and an interior designed for businessmen. The students who participated in the project come from four universities in Romania, and 15 of them were employed at Renault Technologie Roumanie following the completion of this project. While the engine has remained the same, and the exterior just adapted to the increased wheelbase with a suitable set of side windows, the interior of the Duster Biro Mobile has completely changed. 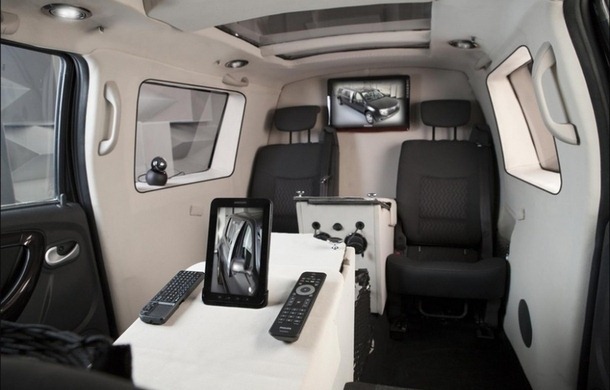 Thus, the rear side has two extra seats, a panoramic glass sunroof, a set of supports for the iPad, a large LCD screen for conferences and other comfort items. The list of technological features include Wi-Fi and Bluetooth, 3G router, air conditioning on several areas and refrigerator for champagne. The students design concept was done by cutting a Duster in two and the execution of connection components.